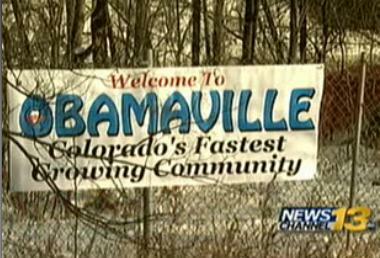 Yet another reason why Barack Obama needs to go … Welcome to Obamaville. As reported at FT.com, the medium income in the United States is now the lowest since 1995. Add this to the record $16 trillion debt, the 43+ months of unemployment over 8%, the 23 trillion of out of work or underemployed workers, the record number of people on food stamps and simply Americans just tired of being tired under Obama. One-Third Of Americans In ‘Lower Classes’ Since Obama Took Office. In the course of Obama’s presidency, people saying they are in the “lower classes” have risen from one-quarter to one-third of the adult population. According to the Pew Research Center, Americans who say they are in the lower-middle or lower-class has risen from 25 percent to 32 percent in the past four years, in the national survey of 2,508 adults. As reported at Powerline, Obama loves to blame others for the bad economic situation. He may want to look in the mirror for blame on this one. the medium income in the United States is now the lowest since 1995 because when the rich take who do we expect them to take from? the poor? THIS WAS THE OBAMA PLAN ALL ALONG. mmmmm… that’s why they were called the Bush Tax cuts …. ? by the way Romney shows how well he’s in touch with middle class today. Romney defined middle income as $200,000 to $250,000 a year.